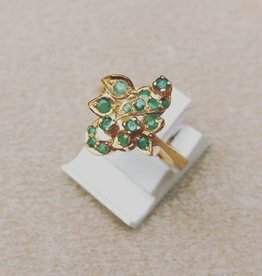 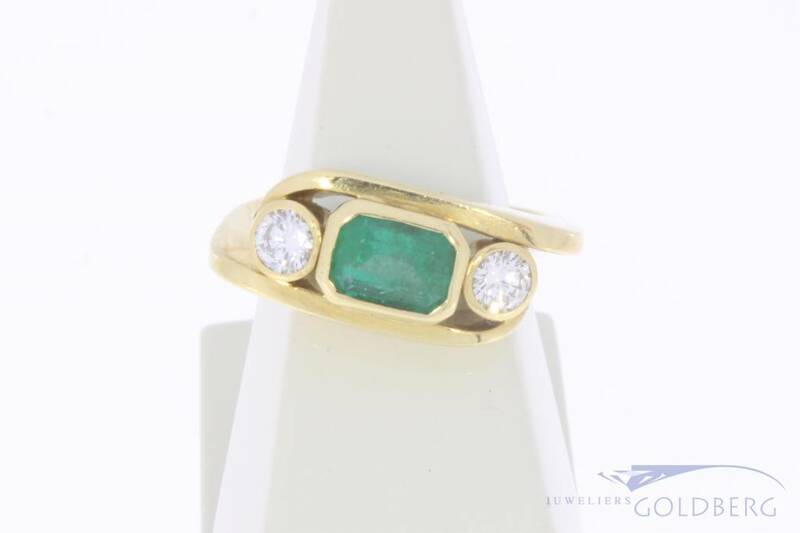 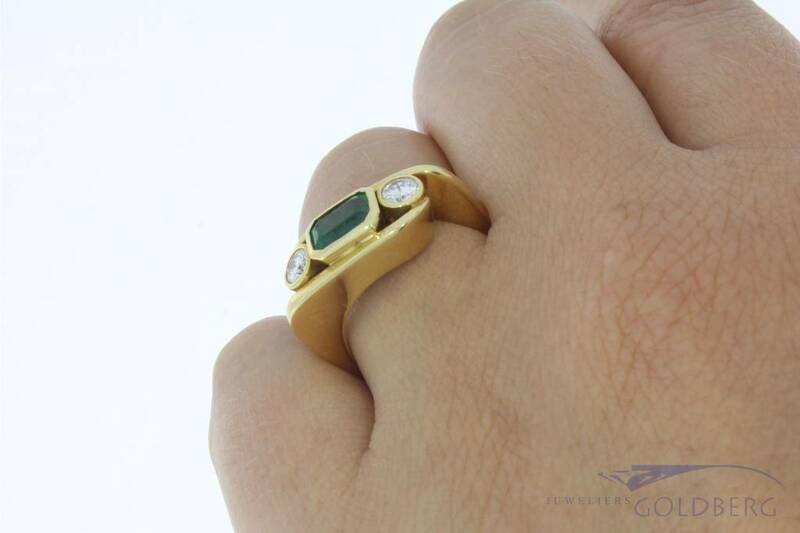 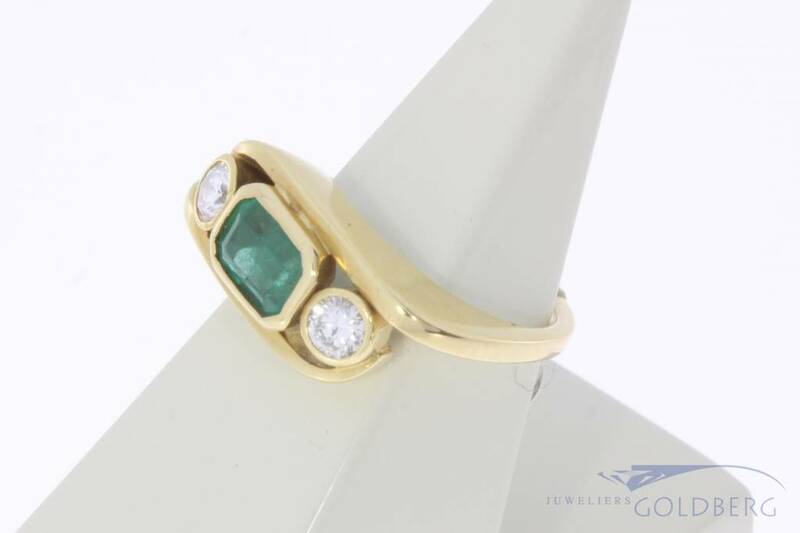 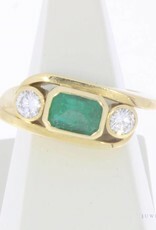 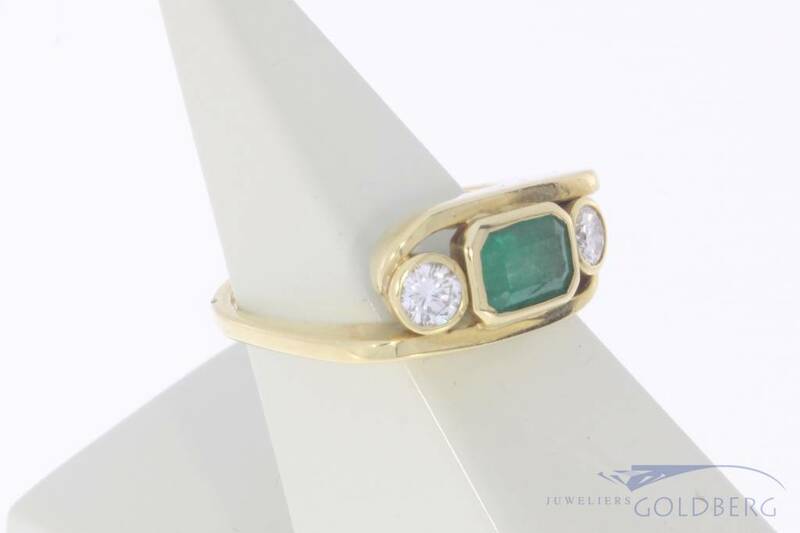 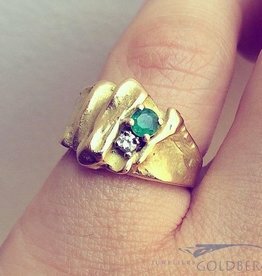 Truly exquisite vintage 18 carat yellow gold ring with emerald and a total of approx. 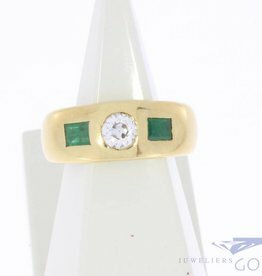 0.40ct brilliant cut diamond. 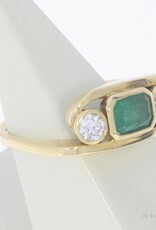 The jewel is inlaid with one emerald cut emerald and 2 approx. 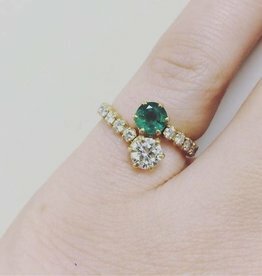 0.20ct brilliant cut diamonds. 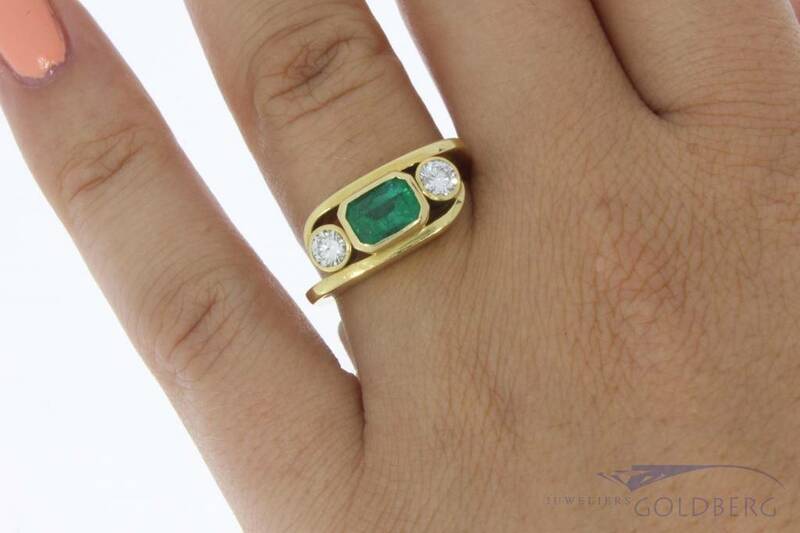 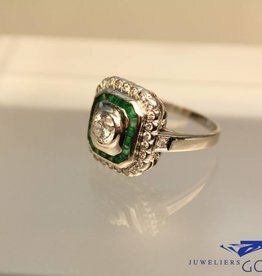 Because this is an older, vintage ring, the jewel is not without fault: The surface of the emerald shows slightly signs of wear. 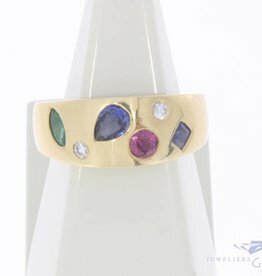 However, it can hardly be detected with the naked eye. 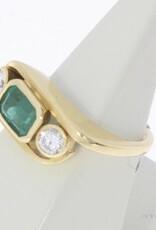 The price of the ring has therefore been adjusted accordingly. 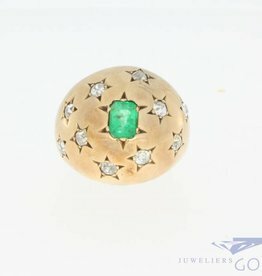 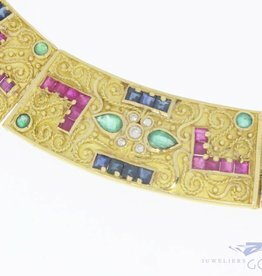 The width of the ornament with emerald and brilliant is approx. 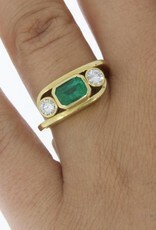 17 mm, the length is approx. 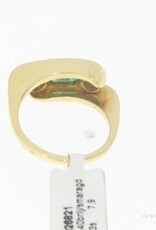 9 mm and the height is approx. 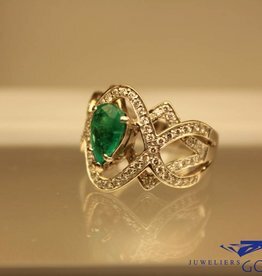 6.30 mm. 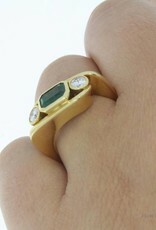 The width of the ring itself is approximately 1.65 mm. 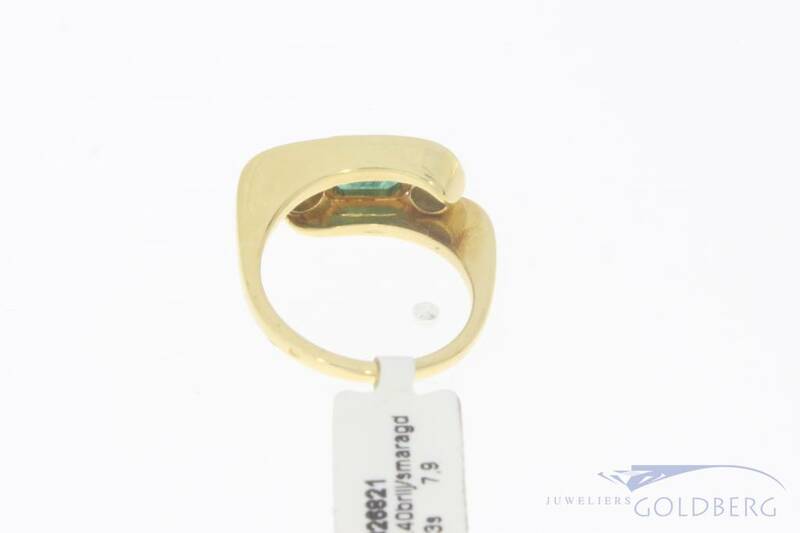 The ring size is 17.50 / 55 and the weight is 7.9 grams.